The Red Lake Tribal Council, Tribal College and School District joined hands to sponsor an Education Summit in concern for the Nation's youth. 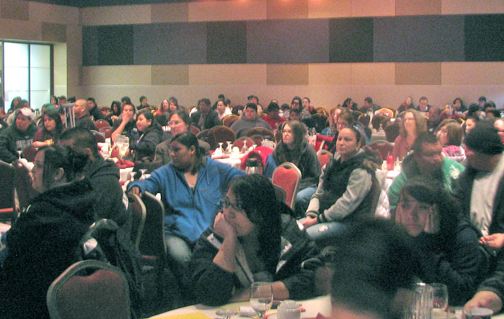 The two-day event took place on January 19 and 20 at the Seven Clans Casino and Event Center at Red Lake, Minnesota. The first day centered on the three northern tribes, Red Lake, Leech Lake and White Earth working together for better education and language preservation. Thursday's activities concentrated on the youth themselves with the focus on Red Lake students. The event's emcee was Motivational Speaker and entertainer, Chance Rush who has participated in several of the annual Red Lake Youth Leadership Summits. "We are hosting this educational summit with the purpose of improving education in Indian Country and for Red Lake members", said Dan King, President of Red Lake Nation College. According to King, part of the idea for the summit was spurred by the Economic Summit held last August at the same venue. The Economic Summit launched in 2006 is also a collaboration of the three tribes. On Wednesday, events began at 11:00 am with a drum song by the Don Kingbird drum Ogidaaki. Kingbird is Red Lake Nation College Drum Keeper and college instructor. Following the drum was an opening prayer by Red Lake Elder and Spiritual Advisor, Larry Stillday. Stillday of Ponemah is a fluent Ojibwe speaker and advisor to Red Lake Nation College. Red Lake Chairman Floyd Jourdain, Jr. welcomed those attending and said the purpose for the Education Summit is to improve education in Indian Country and Red Lake. "In that effort we are reaching out to our friends at Leech Lake and White Earth," said Jourdain. "The three tribes represent 80% of the American Indians in the state of Minnesota," Jourdain noted. "In this historic alliance, we will work closely with our Ojibwe brothers and sisters and seek a regular dialogue of what works best for each tribe," Jourdain said. 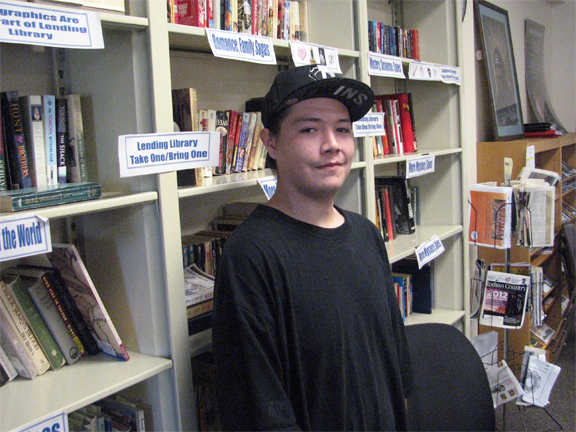 "We can share the best Ojibwe language teachers and college education programs. Further, we can collaborate on grant application partnerships and mutually beneficial advocacy efforts." 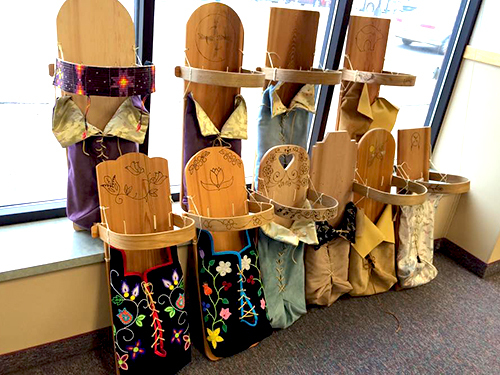 "With an alarmingly small group of fluent Ojibwe speakers," said King during a workshop, "there is a need to address the issue of Ojibwe language preservation." Dr. Anton Treuer, Leech Lake member and Professor of Ojibwe at Bemidji State University was also a speaker at the summit. A fluent speaker and champion of Ojibwe language revitalization, he received his BA from Princeton, and Masters and PhD from the University of Minnesota. Treuer is the author of eight books including Ojibwe in Minnesota and The Assassination of Hole in the Day. Treuer was partnered with comments by Eugene Stillday, elder and fluent Ojibwe speaker from Ponemah. Stillday is a spiritual and cultural advisor for the Red Lake Tribal Council. He is also a Red Lake Nation College Ojibwe language and cultural advisor. Both Stillday and Treuer are involved in developing Ojibwemowin dictionaries, both for everyday usage and developing academic vocabulary. Language preservation was brought home in a sharply defined manner as Treuer put up a slide showing just how few fluent Ojibwe speakers there are left in Minnesota and Wisconsin. According to Treuer there are just a few more than 700 fluent Ojibwe speakers in the United States, more than half, 400 are from Red Lake, and most of those from Ponemah. Also presenting at the summit was Dr. Dean Chavers, a nationally known expert on Indian Education. Chavers provided a report on dramatic "turnaround stories" of low performing schools who, with hard work and collaboration, transformed into top achievers. Chavers has written 25 books, is the founder of the "Catching the Dream Foundation." He is also a former president of the American Indian Scholarship Fund. He received his Masters and PhD. from Stanford University. "If you haven't seen the "true story" film "Stand and Deliver," said Chavers, "make a point of it and you will see what we can do." The last session of the day had representatives from the Red Lake School district presented their master plan for reforming the school and student learning. They shared information on current reform results and improvements. Ev Arnold, former Principal of Red Lake High School and current Turnaround Officer for Red Lake Schools, led the presentation and assisted by Red Lake School Superintendent Brent Gish. Arnold discussed the implementation stages, followed by reform initiatives which includes a focus on teacher growth, which Arnold said will enhance student academic growth. The school will also focus on student's different learning styles and accommodate those styles. Finally, the number of minutes in a school year that all students will be required to be at school will be increased. For school year 2009-2010 the time was 168 days at 340 minutes per day which equals 57,120 minutes. For 2010-2011 time in the classroom will increase to 178 days at 360 minutes per day which equals 64,080 minutes. Both Arnold and Gish felt quite positive as to the progress in reforming Red Lake Schools. "I feel very good that our Red Lake Nation College message – that we offer a quality education – is getting out," said King. "I was very proud of all our Red Lake education staff, faculty. It was a historic event."